Headstone stone maker: J.Pearse Brunswick St., Dublin. 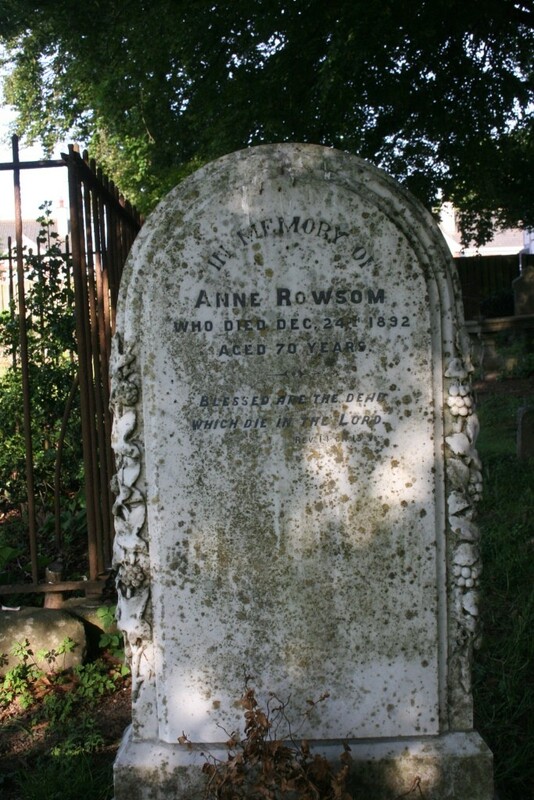 In memory of Anne Rowsom who died Dec. 24th 1892 aged 70 years. 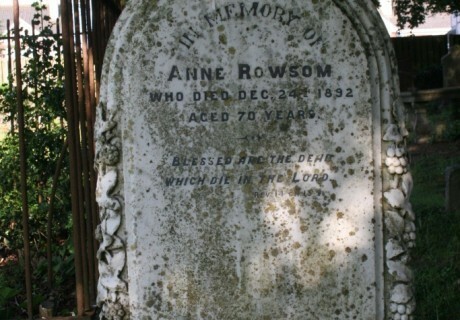 Blessed are the dead which died in the lord. Rev. 14 Ch. 13 V.